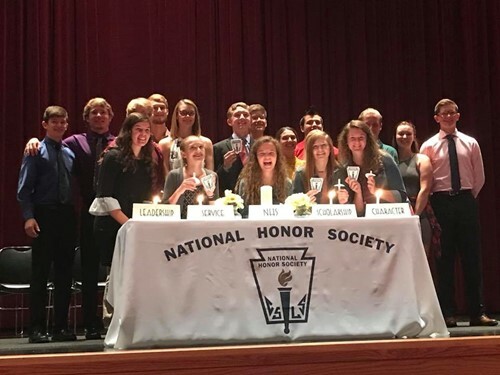 At 7pm on Wednesday, September 12th, the Attica High School chapter of the National Honor Society held an induction ceremony to welcome in 7 new members. Ashley Crowder, Allyson Bailiff, Emma Blankenship, Reed Goodwin, Ella Peterson, Burke Tuggle, and Kate VanHyfte were chosen as they demonstrate exemplary academics, character, service, and leadership. Thank you to Mrs Cedarquist and the current members for such a great program and reception to welcome them into The Attica Chapter!